What does it mean to have done something so horrible you can never let it go? Sergey lives in suffering to punish himself for the extremist act he committed as a teen. An innocuous hello from a mysterious stranger rattles the walls of his self-imposed exile, and his deeply troubled past comes to light. 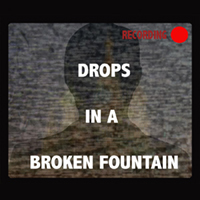 Winner of the 2018 WINNIPEG FRINGE NEW PLAY CONTEST, Drops in a Broken Fountain explores love, guilt and the intergenerational effects of extremism. To say it was a touch stilted would be an understatement. Dialogue was forced and often the delivery of it didn’t help, and while it perhaps was intentional the intention didn’t help. I wasn’t taken in, and it felt to me something that missed a workshop before production. There were long stretches of silence that not only broke the flow of the show, but slowed it down. One song was used throughout the entire show, which generally I wouldn’t have an issue with, however in this case it was clearly a stock ominous music track, and it got tedious very quickly. In light of all this, it was fine, the message is there, but needs work.